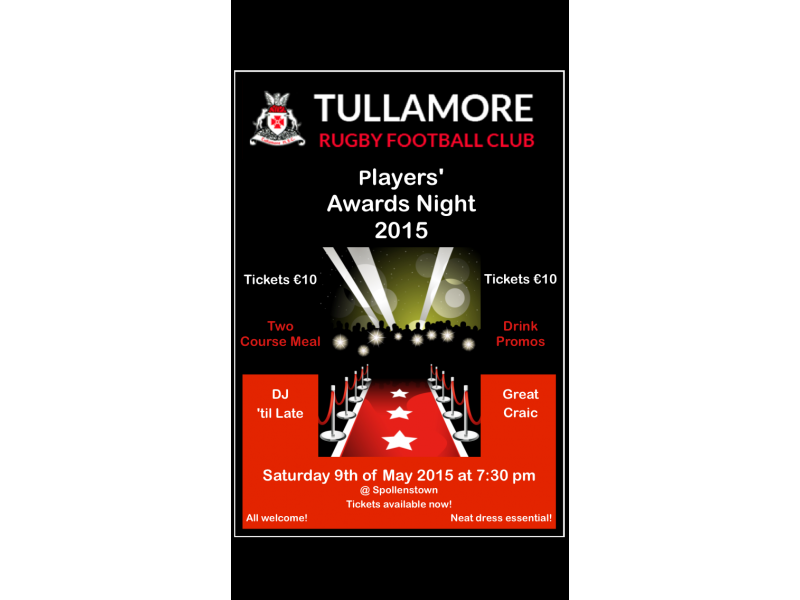 The Annual Player Awards for all Adult Rugby Teams, both Women's and Men's and including U-19's will take place on Saturday 9th May in the Clubhouse. Tickets @ €10 are fantastic value for a Roast Beef Main Course and Pavlova for Dessert. Meal will be served at 8.30pm. Tickets are limited to 150. We expect a big turnout of players and their partners. 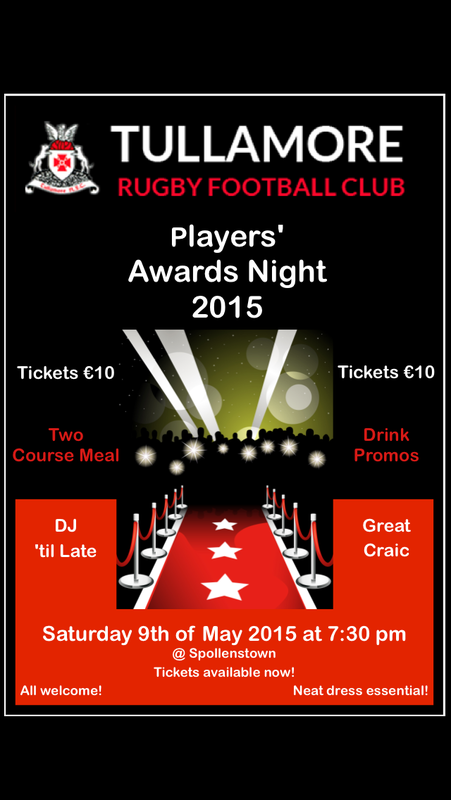 The Club Person of the Year will also be announced on the night. Two course meal ,drinks promo and great craic.